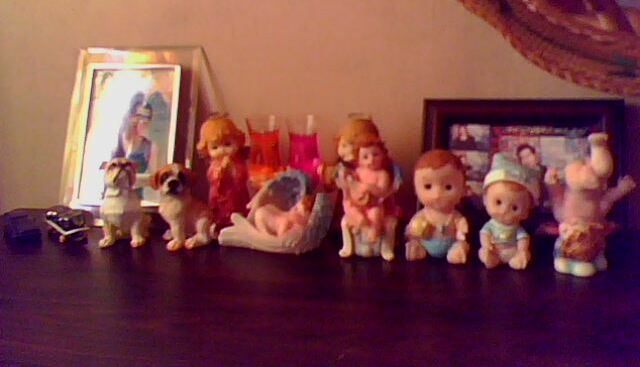 Home Angel Figurine bedroom cubicle cute babies cute litle angels doggies figurines invasion of our home laptop laptop table mini-office my own laptop tiny working area workplace workstation My Home's Mini-Office! One of the place in our home where I love to stay with is in my mini-office located in my bedroom. Yup, this is a like mini-cubicle or workstation where I perform all my online tasks! This is part of my home's mini-office! This is where my laptop, its cooler, and table lamp are placed. Just like my workstation here in my office, I put some design and decoration in my mini-office. These are some of the things which make my home's mini-workstation alive and inspiring! Aside from my photographs, cute figurines were also present. Of course some of my cute little angel collections were there. In addition to them, cute babies and tiny doggies were joining them! Scented candles also give cool and fragrant atmosphere in my work place! 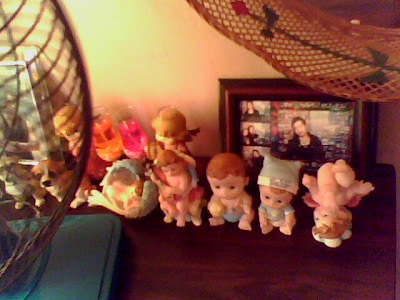 Well, this is only part of my well-loved mini-office in my bedroom. In my next posts, I will share you more. Right now, I am thinking of more new designs to apply in this place!